So how many of us avoid eating rice thinking that it might make us fat and bulgy? Well it is true that rice do make us fat! Well, most of us just know the bad effects of eating rice we do not consider or pay any attention on how we are using the crop! In reality rice do play tremendous healthy jobs for you! Yes! It is true; rice is one of the most important crops. The main reason behind avoiding rice is the way your use! You mainly use it for eating purposes but when you will get to know the various other methods of using rice then it might be one of your favorite grocery items! Rice water is one of the ancient kind of shampoo which was used to grow healthy hair or it was also been used as a good moisturizer to cure skin problems. Rice water is also beneficial for health related issues. Before you may know how good rice water is, you may first know how to prepare it. 1/2 a cup of uncooked rice you may choose any brown, white long grain, white short grain or jasmine, or whatever you are available with. To start up first clean the rice by taking 1/2 a cup of water and rinsing of all the bad impurities. Now just simply pour the rice into the water and let it soak for about an hour or so. Now in between Swirl the water around and let rice also move lightly until the water turns cloudy. This movement will help the vitamins and minerals seep into the water solution and create a nourishing rinse for your hair and skin both. Now after an hour. You must strain out rice water into a clean bowl. And your rice water is ready to use. You may use this water for your hair or face or whole body. There is one more way as to how you can use this water with more benefits indeed that is by letting it ferment for 1 day or so. Once you have collected your rice water now for fermentation you need to leave it at room temperature for a day until it turns slightly sour, this would ensure that it has started to ferment. Depending upon the climate It may take anywhere from 24 to 48 hours, depending on how warm it is. So warmer the climate or temperature the faster the fermentation process is done. You may also let the rice be in the water only during the fermentation process also this will result in quick fermentation. Once the water is sour your fermented rice water is ready to use. If you have made a big amount of water you can also Store it in refrigerator and it will last 4 to 5 days. Always remember to shake well the refrigerated rice water container before using it on yourself. In this method you need to boil the rice to extract rice water. Make the rice in the usual manner but in this method pour more water than needed in usual preparation. The measurement is not defined as to how much you need to pour. Now once you are ready with the rice and water. You can also, let the rice cook fully to use them also for eating and strain the excess water and use that excess water. Caution: Let the rice water cool down first and use after it is at a normal temperature. You can store this water also in the fridge for 4 to 5 days. 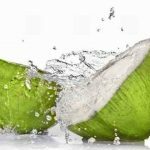 Now as you know how to prepare rice water in various new ways now you may know that how beneficial this water is to use for skin, hair and health. Rice water is really useful to grow your hair faster. To increase your hair growths rinse your hair with rice water. So after a hair wash by shampoo, avoid using any conditioner. Instead of that use the rice water and rinse your hair.For best results follow this process twice in a week to get best results. 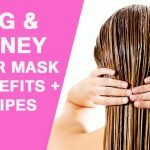 If your head is full of split ends and you want to remove your split ends naturally, and then follow these tips. You need to dip the ends of your hair (split ends) in a bowl of rice water. Let it soak for about 15-20 minutes, then wash your hair under running water. Many of us are going through the problem of rough hair texture so to improve the hair texture with a natural process using rice water is the best. Especially for those who have scanty and thin hair you must rinse your hair with rice water at least thrice in a week. To provide your hair a natural shine for a long period of your life, use rice water by following this simple tip. Make a pack of rice water and rose water by simply mixing the both liquids. 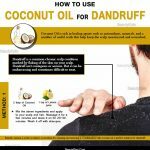 Now rinse your hair with this solution. You may also place a plastic cap on your head to let this pack stay on your head for some time then after 20 minutes, remove the cap and rinse well. Most of us do have lice on our scalp but we do not realize this on time. The best use of rice water is that it helps to remove lice completely. The fact behind the rice water removing lice is the starch content present in rice water this will kill the lice instantly and along with the nits. Lighten your blemishes with the help of rice water. Add a pinch of turmeric to your rice water before you rinse your face. It will be more beneficial. Rice water can also be used as a face wash also and if used on a regular interval it helps to decrease acne. However, it may also make your skin dry on using it regularly. Rice Water Also helps to remove blackheads. You just need to your face with lukewarm water. After you rinse your face, allow it to dry completely. Then remove your blackheads from your nose vigorously. yes! It also helps to remove tanning! You just need to dab some amount of rice water and gently rub it on your body. You need to have a shower post 20-30 minutes. You may also rub some tomatoes on your body for best results. Rice Water also tightens the loose skin layers. It is best for people who have lost enough of weight and want to tighten their skin naturally and with lasting effects. The first thing to depict that you have started to have wrinkles is when you get collected with the sagged layers to the corner of your eyes. In this case, you need to use rice water but from the boiling method. 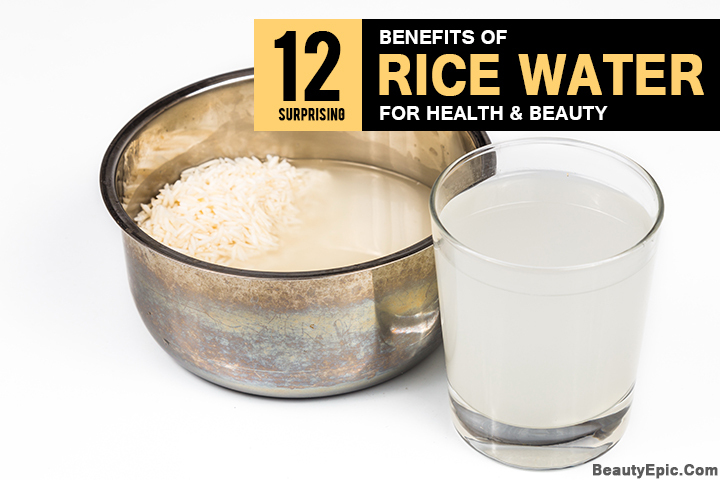 Hope the Benefits of rice water for skin, hair and health will help you live a healthy life ahead. 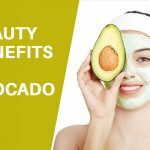 12 Surprising Beauty Benefits of Green Tea You Must Know!